Sugarcane (Saccharum officinarum), perennial grass of the family Poaceae, that forms lateral shoots at the base to produce multiple stems, typically 3 to 4 m high. The stems grow into cane stalk, which when mature constitutes around 75% of the entire plant. It is native to the warm temperate to tropical regions of South Asia and Melanesia, and used for sugar production. The plant is also grown for biofuel production. Sugarcane is the world's largest crop by production quantity. It is able to grow over a prolonged season. Climate: Growth is closely related to temperature. 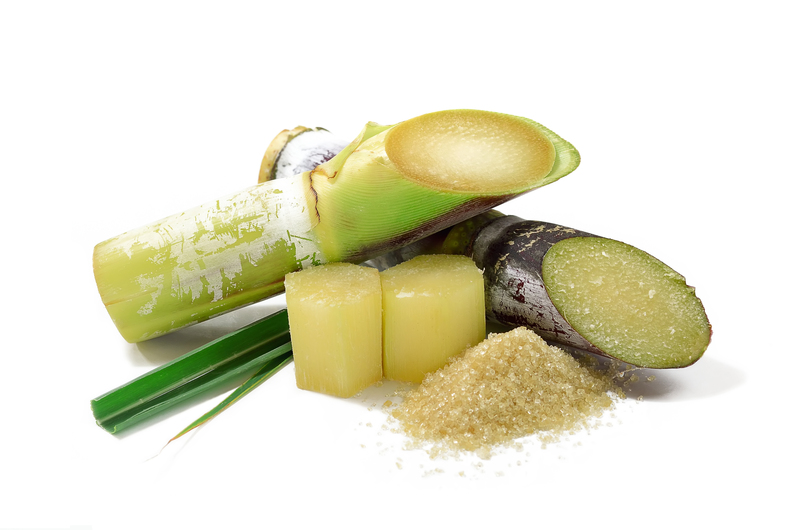 Sugarcane is cultivated in the tropics and subtropics in areas with a plentiful supply of water, for a continuous period of more than 6-7 months each year, either from natural rainfall or through irrigation. The crop does not tolerate severe frosts. It grows well where temperatures ranges between 20ºC to 42ºC. Optimum temperature for sprouting (germination) of stem cuttings is 32° to 38°c. For ripening, however, relatively low temperatures in the range of 12° to 14° are desirable, since this has a noticeable influence on the reduction of vegetative growth rate and enrichment of sucrose in the cane. The crop does best in the tropical regions receiving a rainfall of 750-1200mm. 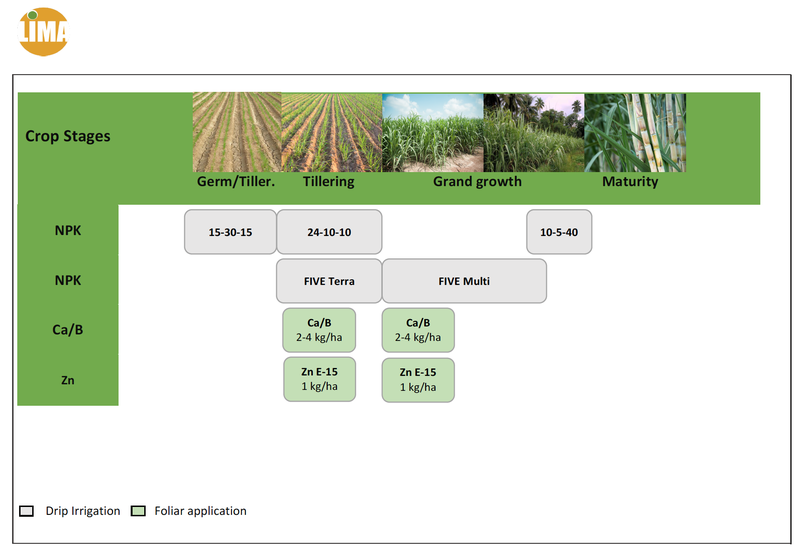 For ripening, it needs a cool (range of 12° to 14°) and dry season since this has a noticeable influence on the reduction of vegetative growth rate and enrichment of sucrose in the cane. Sunlight: It requires a high incidence of solar radiation. Soil: Well drained, deep, rich and loamy soil are the best ones for its growth and yield although it can be grown in a wide range of soils as long as there is enough moisture content available. Sugarcane being a giant crop producing huge quantity of biomass generally demands higher amounts of nutrient elements. Plant crops generally take up more nutrients than the ratoon crop. There are significant differences in nutrient utilization between varieties, particularly with respect to nitrogen uptake, and this needs to be taken into account locally. This is only a guideline, adjustments to local conditions can be made to the programme.